Rail technology leader Bombardier Transportation and Mercitalia Rail, a major freight rail operator in Italy, have signed a contract for 40 innovative BOMBARDIER TRAXX DC3 (direct current) locomotives and 16 years of fleet maintenance to be carried out by Bombardier Transportation Italy's Services division. Based on list price, the contract is valued at approx. 210 million euro (249 million USD). It also includes options for up to 20 additional locomotives and maintenance services, as well as an option for additional eight years of maintenance on the whole fleet. Locomotive delivery is scheduled to start in the 4th quarter of 2018. Luigi Corradi, Chief Country Representative Italy, Bombardier Transportation, emphasized, "The solution's optimized features make this vehicle the most advanced DC locomotive in Europe. The 16 years service contract with Mercitalia Rail, managed by our Services division in Italy will ensure superior operational availability of the vehicles. 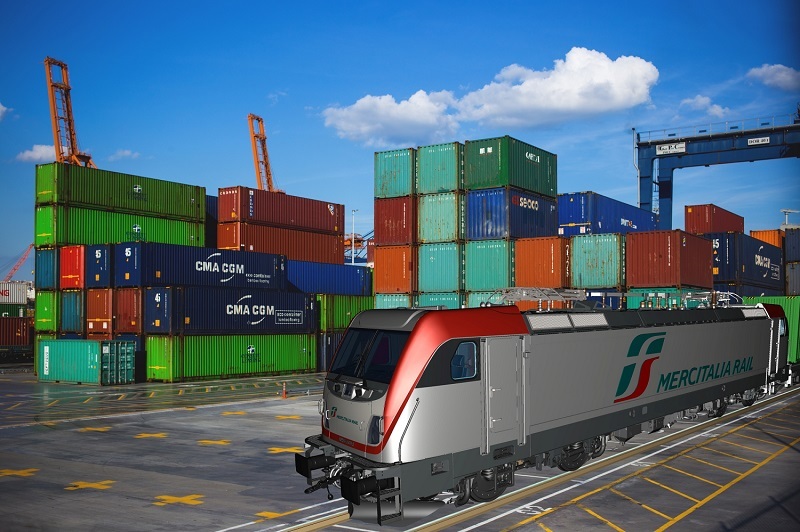 We are proud that Mercitalia Rail, the market leader for rail freight traffic in Italy, has chosen the TRAXX DC3 locomotive to modernize its fleet, and will be the first customer to benefit from this innovative product." The DC version of the TRAXX 3 platform belongs to the most modern four-axle locomotive platform in Europe. It consists of the TRAXX AC3 (alternating current), the TRAXX MS3 (Multi-System, for all main currents in Europe) and the TRAXX DC3. Bombardier Transportation Italy employs more than 700 people at their Vado Ligure manufacturing plant or at a dedicated rail control signalling and urban transport engineering center in Rome. As of today, Bombardier Transportation Italy produced a total of 728 E464 locomotives, 50 ETR1000-V300ZEFIRO trains and 191 TRAXX DC locomotives, approximately 90% under Bombardier full service maintenance contract. Overall almost 2,000 locomotives have been produced in Vado Ligure site; the site has a long experience in the development of state of the art DC traction units and in major overhaul and revamping of rolling stock. More than 200 locomotives, 17 trams and 50 very high-speed trains are under Bombardier Transportation Italy Services maintenance contracts. The Italian production site in Vado Ligure celebrated its 110th anniversary in 2015. Bombardier's site in Rome is responsible for the implementation of signaling and control systems for rail and metropolitan traffic; in Italy more than 3,000 km of the railway network is equipped with Bombardier systems. The headquarters in Rome is also the center of excellence for rail signaling systems in the Mediterranean region with projects completed and ongoing in Croatia, Romania, Turkey, Greece, Algeria, Ethiopia and Morocco. Bombardier, TRAXX and ZEFIRO are trademarks of Bombardier Inc. or its subsidiaries.